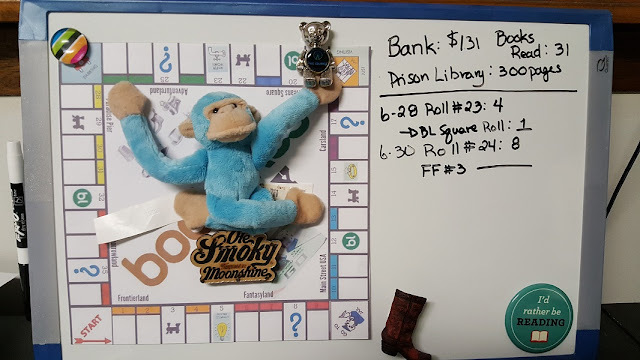 Ani's Book Abyss: Booklikes-opoly | Roll #24! and Free Friday #3! The reading gods have been generous these past few rolls. I've been finishing books left and right like "Whoa!" Even the turns were I have a double roll and end up with two books. Though to be fair, I suppose since I've been limiting myself to a lot of COYER Summer Reading List books, they are books I've been wanting to read, as well as books that are kind of short in page length... well some of them are. For Roll #23, I landed on a BL Square, which then netted me the BL Task #1: "Let a BL friend choose your book! 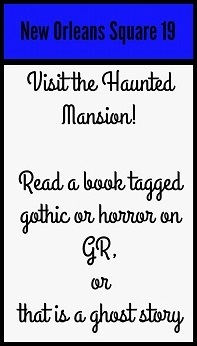 Post a list of 4 books - first one to comment chooses your next read." Secret Agent Secretary by Melissa Cutler is a 248 page book, adding $6.00 to my Bank Balance, increasing the total to $131! So I think I liked this second ICE book more than the first. The heroine was all sorts of geeky fun, what with her overactive imagination about what super secret agents do, admitting that maybe she's watched and/or read one too many spy novels. Some of the items on her bucket list include: 1) Assisting in the capture of an international criminal mastermind, and 2) Getting herself a super spy fancy gadget. But her obsessive fascination with all things secret agent doesn't negate the fact that she's pretty cool and quick on her feet in explosive situations. 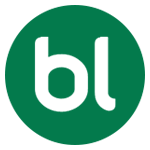 Click the title above for my short review! I rolled an 8 (which seems to be my favorite number since I've rolled it so many dang times! ), and landed on New Orleans Square 18. By the way, I've rolled the number '8' only 5 times, which is surprising since it feels like I've been rolling it on a regular basis. 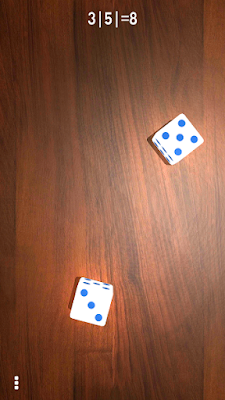 Instead, it looks like the number I've rolled the most is '7' at 6 times. I have rolled all the other numbers an almost equal number of time except for '2'. It has been rolled zero times. This is a first landing for me on either of the New Orleans squares... and to be honest, I would have done a lot better with the other New Orleans square, the one for an island or ocean. I've got a longer list I can select from. Lots of books that take place in England, or some other random island. Gothic books, or even ghost stories, have never really been my cuppa, though I will admit that I've enjoyed my fair share of them recently. I played with the idea of buying an extra roll, but then decided that I needed to break out of my shell and continue trying something Gothic. I've recently read such gems as The Moonspinners by Mary Stewart and The House at Riverton by Kate Morton, both by authors I plan to continue reading at some point. There are a few Simone St. James books that I'm still interested in, and just as well, I picked up some Victoria Holt from a book sale not long ago out of curiosity. I might even be persuaded to read another Deanna Raybourn book, because I think there's a particular one I haven't read yet. HOWEVER, in the end, I suddenly made a decision to read something else entirely. It is neither a book I own, nor an author I ever thought to read previously, but the title caught my attention, and the summary sounds quite interesting. And apparently there's archaeology involved. 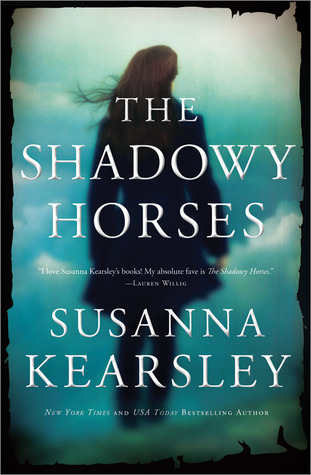 The Shadowy Horses by Susanna Kearsley, is tagged Gothic at Goodreads, and the summary mentions ghostly sightings. So I became curious and decided to just go with it. The book is set at 430 pages, Kindle version, that I am checking out from the library e-book collection. That will be a $10.00 increase to my Bank Balance upon completion. I have never read Susanna Kearsley before, but as I've been picking up so many new authors already this year, why stop now? I've read a lot of good things about many of her other books, so hopefully I'll like this one. And while I'm at it, since it IS Friday, I will also be announcing my third Free Friday Read! Originally I was going to continue with the ICE series, so I could finish it up, with the last book, Hot on the Hunt, since I read Secret Agent Secretary for the last BLopoly roll (see above). But while I was surfing Goodreads, I came across a Pamela Clare blog update about her newest installment of Colorado High Country. And because Pamela Clare has been an auto-buy author for me ever since I read her I-Team series, I made a last minute decision, right before posting this blog post. Tempting Fate is 322 pages (Kindle version) and will net me +$6.00! And also, I couldn't pass up the chance to read this now that it's out. I'm not even sure I know how I missed this book's release, since I've been trying to follow Pamela and her news updates regularly. But I guess this just goes to show how little I actually follow my Goodreads news feed.